Then I went to a dim sum restaurant, and with a steaming hot tin of dumplings on the table before me, I was tempted. That's how this guilty pleasure began. 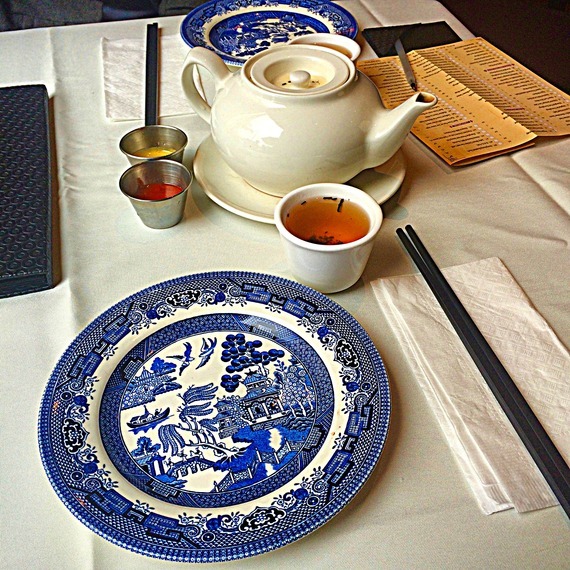 The mysterious interior of dim sum restaurants became a palace of treasures opening its doors to me. I felt like I'd just entered a culinary brothel of exquisite delights as my Chinese fiancé took my hand and led me into a crowded dining room of red lacquered walls, ladies pushing dim sum carts around dishing out tin after tin, tables spread and toppled with assorted tins both empty and full, diners eating, adorably fat babies squealing, mothers spooning their mouths full and wiping chubby little faces, large round tables full of people -- families, friends, couples -- all eating a feast of dumplings. Among the tins of gelatinous chicken feet, cha siu bao and endless pots of tea were those heavenly little mouthfuls of soup dumplings. I could not control my growing curiosity and hunger. Once I went raw vegan for nearly a year until I wanted a cheese omelette. I gave in to the craving because I just cannot live without eggs and cheese. After that indulgence, I attempted to be spartan and healthy by eating a macrobiotic diet, following a wholesome balancing act of yin and yang foods, consuming mostly seasonal vegetables, sea veggies, legumes and whole grains. But a month into that I felt completely macro-psychotic, drooling for something more toothsome. ...until I had a taste of a pork dumpling. With my chopsticks poised to eat dumplings from steamer baskets, I have gone beyond my vegetable garden deep into the banquet halls of dim sum delights. How can I deny the come hither dimples of steaming xiao long bao soup dumplings? I admit I'm smitten, taken, and lustful. There is no going back. But now I've betrayed some unspoken vegetarian promise when I find meaty bites of pork succulent. I contemplate how this unlikely dumpling affair began. My vegetarian virginity is now lost after succumbing to this carnivorous desire, as I've gnawed on crispy fried pig ears, inhaled a lamb burger on brioche, eaten parts of a rabbit, slurped down snake soup, plunged my knife into elk tenderloin in brandied cherries, and eaten bacon cheddar buttermilk biscuits with immense pleasure. I have no shame. Ah, but for the love of dumplings. I want those bad boys of porcine pleasure made into pretty bite-sized bundles, brought to the table steaming hot in their stacking baskets. I want them and can't help it. Since then, I've eaten Lobster Yi Mein with abandon, not bothering with chopsticks after inhaling the noodles, employing my dexterity to dig out the luscious flesh from its shell with my fingers. I've had bacon, pork, oxtail, crab, shrimp, caviar, roe, black cod, and salmon. Anthony Bourdain, please don't scoff at vegans and vegetarians, because some of us have been there and eaten that. 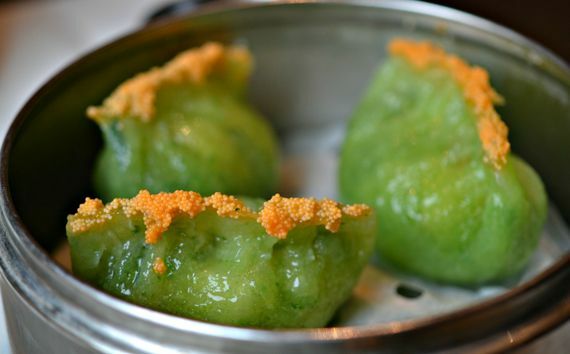 Like true California girl, I can drink down green kale smoothies with the vegan crowd in hipster Venice Beach, but I am obsessed with dumplings and off to eat dim sum in the Chinese neighborhoods of the San Gabriel Valley. 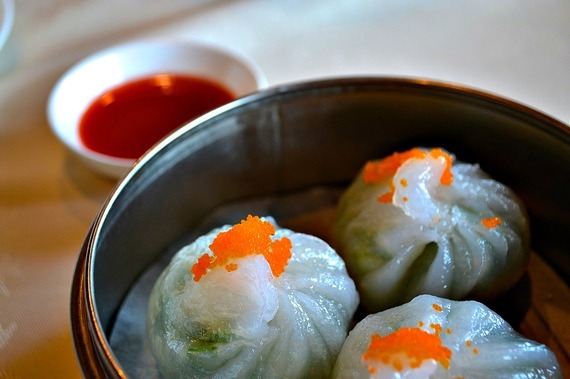 I desire those plump and shimmering xiao long bao dumplings full of fatty bites of pork. As the xiao long bao burst its hot soup and juicy meat into my mouth, it was a revelation. 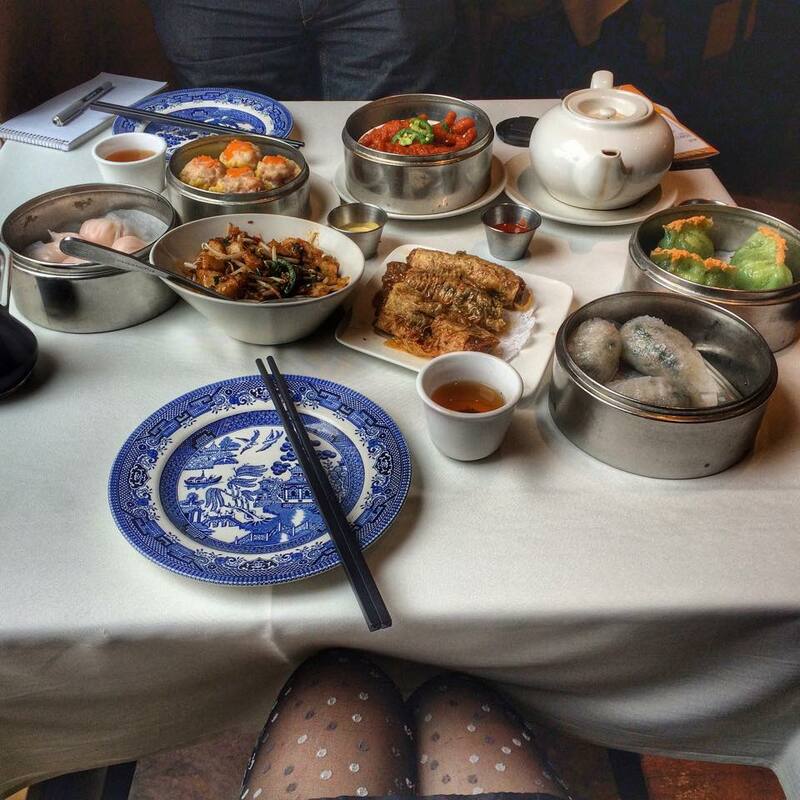 The surprising gush held within the pocket of dumpling dripped down my chin, and my eyes sparkled with pleasure. So I ate up these marvelous little treasures with eager grasps of my chopsticks, wielding a soup spoon, adding fresh ginger slivers, vinegar, and chili mixed a quick dash of soy sauce. If I had first eaten meat inside a dumpling skin as a little girl then maybe I would have liked it more. All I needed was a small bite of pork hidden within the wrapper to convince me. For many years since childhood, I was the girl that loved broccoli "trees." As I sink my teeth into melting pockets of steamed dumplings, I am like a schoolgirl giving into the kisses of her first boyfriend, saying, "Alright, let's do it." 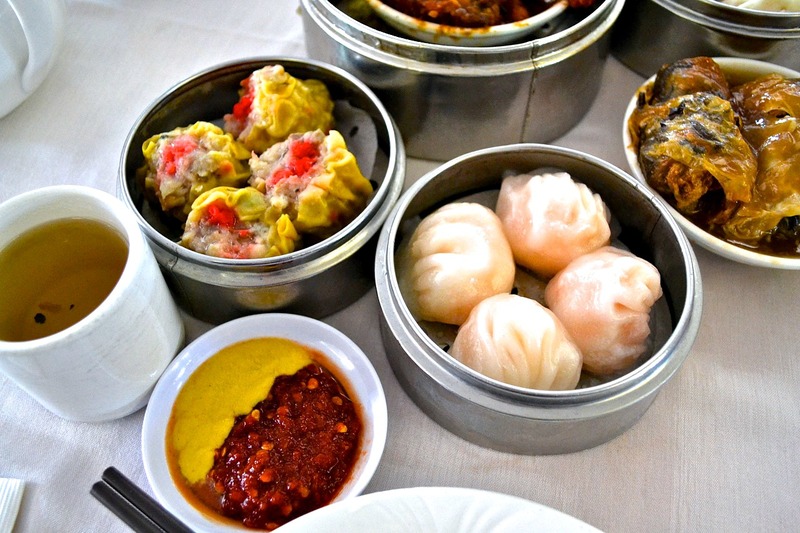 I eat and cook like a vegetarian, but when I go out, I go all the way into the land of the omnivorous and eat sumptuous morsels of shumai and those glorious xiao long bao. In between the two lands of herbivore and carnivore, I long for something more than eating greens. It's like that saying, however awful it sounds, "be a lady in the parlor but a whore in the bedroom." The pork dumpling is completely separate from all other meat forms in my experience. There is poetry in the swirl of folds like closed flower petals. Its pleasing plumpness is accentuated by the wrapper skin holding a juicy nugget of meat within. The pink coil of the shrimp on top of shumai is utter foreplay to my mouth, teasing my tongue until I slowly bite into the unctuous pork, and the pillowy mouthful of the dumpling oozes its glorious juices. The next time you consider yourself vegan, vegetarian, carnivore or omnivore, just close your eyes and open your mouth to the gourmet pleasures of the dumpling, digging your chopsticks right in without question.